Last spring I visited Japan for the first time. In many ways it was to be a very important journey for me, for years I dreamt of going there and always pushed the day further and further back because I wanted to be ready for it. Ready to take it all in. A few months after my return to London, it's still distilling something I don't yet know. I've always thought that spending some time living in a city is necessary to understand how it really works. Most of my urban awareness relies on the contrasts I've seen in towns I've spent a great deal of time in. That's why I decided, although strongly advised against, to spend at least two weeks in Tokyo where I was mostly based in Nakano. Even though I was aware of this, Tokyo's lack of a historic centre really hit me. As a European I come from a place with its fair share of architectural heritage. My hometown Barcelona, and many Spanish cities, were planned around their old historic quarter, building successive rings of urban development during the Industrial Age. There's some sense of order and structure in these towns. Tokyo feels like a chaotic amalgamation of styles and hints at its plasticity, which certainly generates a vibrant spontaneous ecosystem but feels imposed by natural hazards and war. Very little there seems to be built to last. Everything is transient and the lifespan of buildings is short enough to make Tokyo a very different city for each generation. This concept of an adaptable ever-changing system sits at the core of Metabolism, an architectural movement developed in post-war Japan that fused ideas about megastructures with those of organic biological growth. Nakagin Capsule Tower is one of its most iconic buildings which still stands, to my surprise, as I stumbled upon it on a stroll through Ginza. 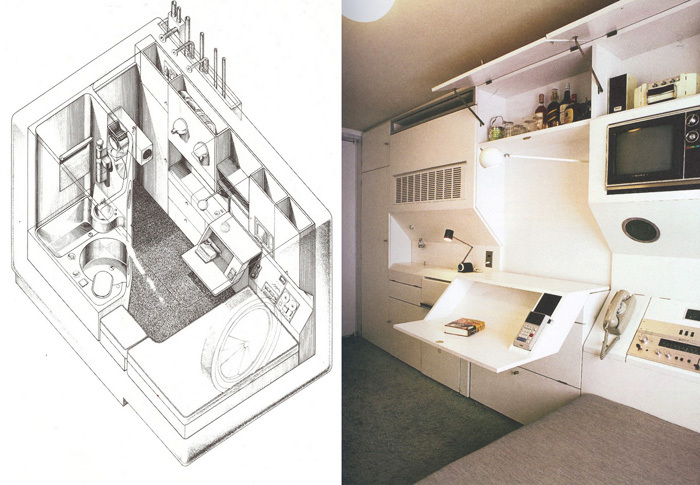 Built in 1972 and designed by Kisho Kurokawa it's made up of capsules that work as self-contained units, but these can be attached to each other and rearranged along two core concrete towers to create a variety of spaces. In other words, it's a mutant building that can change its shape and adapt to the occupant's necessities. Despite this ability to adapt to change, recently, its current residents voted to demolish the building and replace it with a larger more modern block. 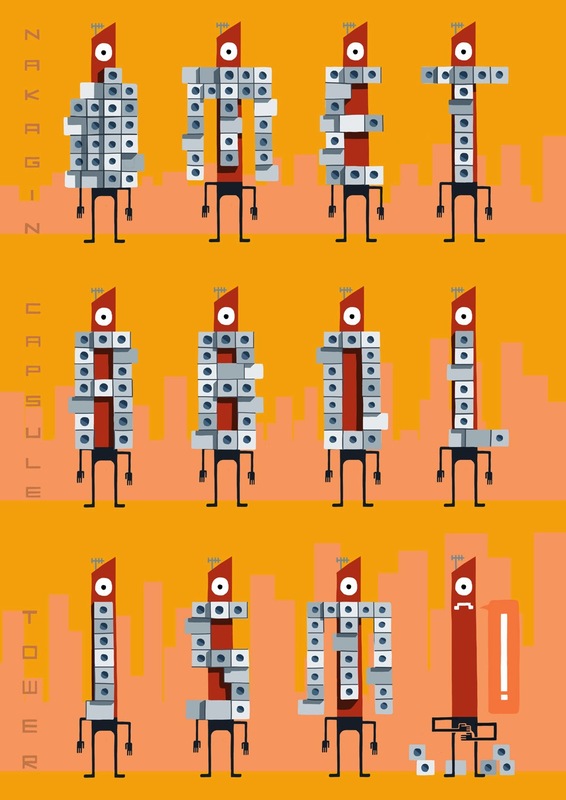 In this illustration, Nakagin Capsule Tower rearranges its capsules to form the word METABOLISM. It was published in Q9 Magazine last May.